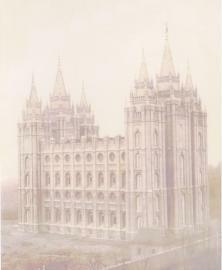 1The Church of Jesus Christ of Latter-day Saints, Ancestral File (R), Copyright (c) 1987, June 1998, data as of 5 January 1998, Family History Library, 35 N West Temple Street, Salt Lake City, UT 84150 USA. 1Pedigree Resource File CD 1, (Salt Lake City, UT: Intellectual Reserve, Inc., 1999). 2The Church of Jesus Christ of Latter-day Saints, Ancestral File (R), Copyright (c) 1987, June 1998, data as of 5 January 1998, Family History Library, 35 N West Temple Street, Salt Lake City, UT 84150 USA. 2The Church of Jesus Christ of Latter-day Saints, Ancestral File (R). 3The Church of Jesus Christ of Latter-day Saints, Ancestral File (R), Copyright (c) 1987, June 1998, data as of 5 January 1998, Family History Library, 35 N West Temple Street, Salt Lake City, Utah 84150 USA. 3The Church of Jesus Christ of Latter-day Saints, Ancestral File (R).